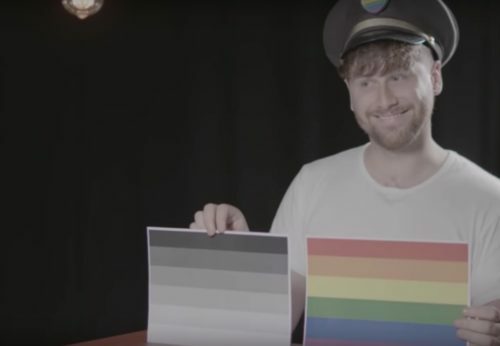 YouTuber Jazza John asked people to prove that they’re straight. Asking questions that LGBTQ asylum seekers have actually been asked, he found that straight people actually weren’t all that good at showing that they’re actually straight. John asked the straight people to name their favorite straight music, to say what each color on the straight flag means, and to draw the floor plan of the last straight club they were in. Of course, they had trouble actually doing that. But unlike LGBTQ people seeking asylum, they were able to laugh their way through the interview at the silliness of the questions.